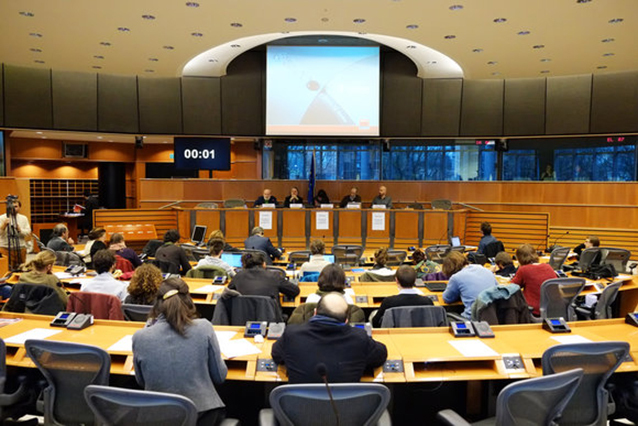 On Tuesday, January 20, 2015, SYRIZA and Podemos, in collaboration with the CADTM and the Bloco de Esquerda, organized a session of debates and confrontation of ideas at the European Parliament to discuss different strategies for countering Europe’s debt trap. Moderated by Teresa Rodríguez, this two and half hour session provided an opportunity for various political groups including the CADTM to examine both divergent and convergent aspects of the strategy to deal with creditors. Éric Toussaint, spokesperson for the Committee for the Abolition of Third World Debt with a Ph.D. in Political Science, delivered an introductory note on restructuring, audit, suspension and cancellation of debt in recent decades. Without going into the nitty-gritty of these measures (compilation available in an interview published on the CADTM’s website), the discussion revolved around the examples of (1) restructuring carried out in debtor countries under favorable conditions merely for geopolitical reasons (West Germany in 1957, Lech Walesa’s Poland in 1991, Mubarak’s Egypt in 1991 and Iraq under American control in 2004); (2) an exception where restructuring inadvertently facilitated an alternative government (Bolivia in 2005); (3) unilateral suspensions of debt payment either followed by negotiations (Argentina) or not followed by negotiations (Ecuador). Most of the restructurings (600 cases between 1950 and 2010) have adversely affected the economies and peoples of the concerned countries. A session on debt at the EU Parliament. Toussaint showed that debt restructuring is a mechanism designed by creditors. The CADTM prefers not to consider restructuring as a demand and a solution as long as the creditors hold their ground. He rounded up his historical analysis with the particularly interesting case of the Greek debt restructuring in 2012. Conducted only in the interest of creditors, it’s a sharp reminder of the restructurings that took place in the third world countries. The newly-formed Greek government led by SYRIZA must learn from this recent event. As is also the case in the document of our Portuguese friends, Éric Toussaint stressed the importance of incorporating the issues of the banks, of control on capital movements and of a radical fiscal reform when developing a strategy to deal with public debt. 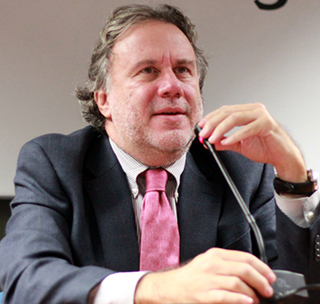 Francisco Louçã, former coordinator of the Bloco with a Ph.D. in Economics, presented the debt renegotiation plan which he and three other Portuguese economists had prepared. This document helps to initiate a political debate based on concrete proposals. In terms of restructuring, it recommends an extended time of up to 30 years for capital payment and a drastic reduction of the interest rates to 1%. It also recommends to discriminate in favor of small shareholders, other small investors as well as local authorities who could be affected by the restructuring. Finally, it calls for a radical reform of the banking sector (which would become entirely public once the shareholders are compelled to accept their losses). Georgios Katrougalos, MEP from SYRIZA and professor of Constitutional Law, reminded us that international law does not tell us how to address the issue of debt restructuring. For the time being, there are two informal groups: the Paris Club (public creditors) and the London Club (private creditors). They use their power to impose special conditions for restructuring so that their own interests, not those of the indebted peoples, are served. “After the 2012 restructuring 90% of our debt was no longer in the hands of private creditors (mainly, German and French banks) but in those of institutions such as the ECB and the IMF, or of individual States. This is another example of socializing banking losses. Therefore, negotiations must take place”. We must not forget either that the Greek debt is now under the British, and not the Greek law. What if SYRIZA took the EU at its word? Éric Toussaint rounded up by explaining that Paragraph 9, Article 7 of an EU regulation dated May 21, 2013, recommends that countries subject to a macroeconomic adjustment should carry out a comprehensive debt audit. What if SYRIZA took the EU at its word and grabbed the opportunity to identify the liabilities in the Greek indebtedness and the part of the debt that its people must not pay? This report was produced by the Committee for the Abolition of Third World Debt and translated by Suchandra De Sarkar in collaboration with Christine Pagnoulle.